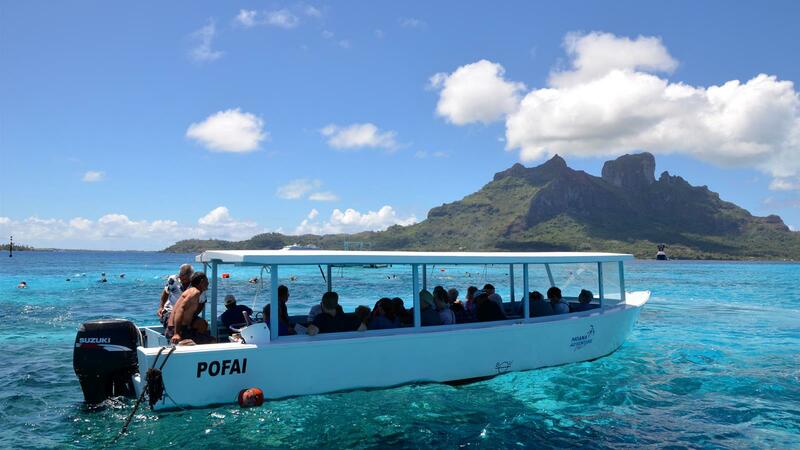 Glide gently over multicolored, exotic coral and marine life in a comfortable 33 foot cruiser as you learn about the history and facts about Bora Bora's famous lagoon. 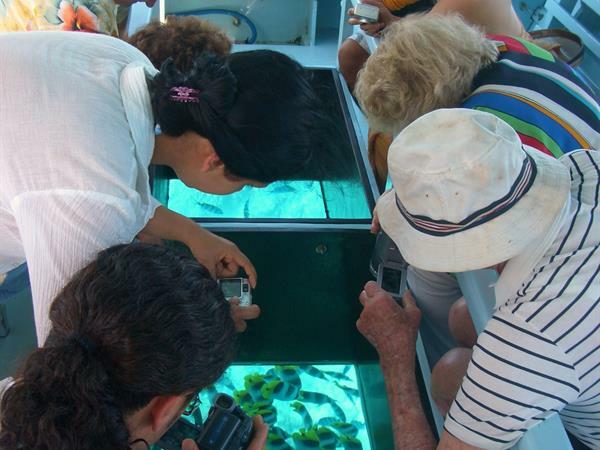 You will find yourself fascinated as our diving guides show you the beauty of the lagoon they call home, especially after you have seen them feed the brilliantly colored fish just a few feet from the glass panel you are looking through. 10.00-11.30AM Monday, Wednesday & Friday.